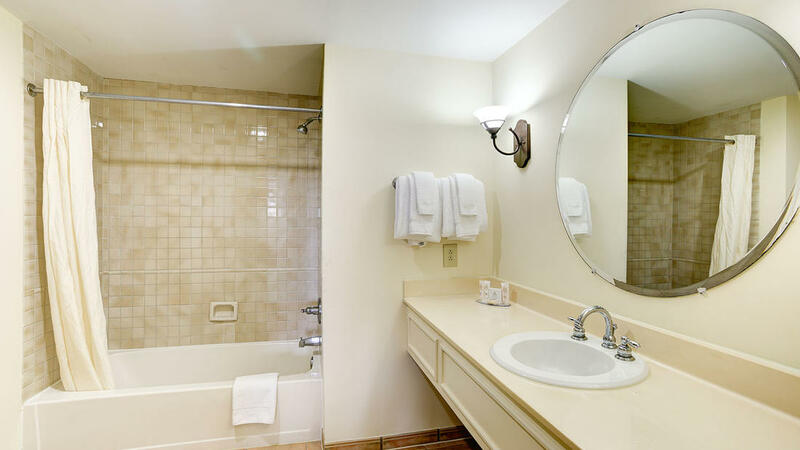 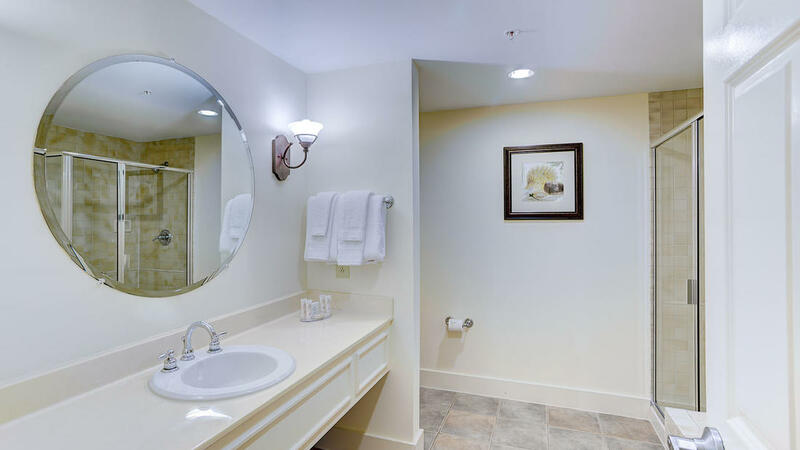 There is no better way to unwind than in the two-bedroom suite. 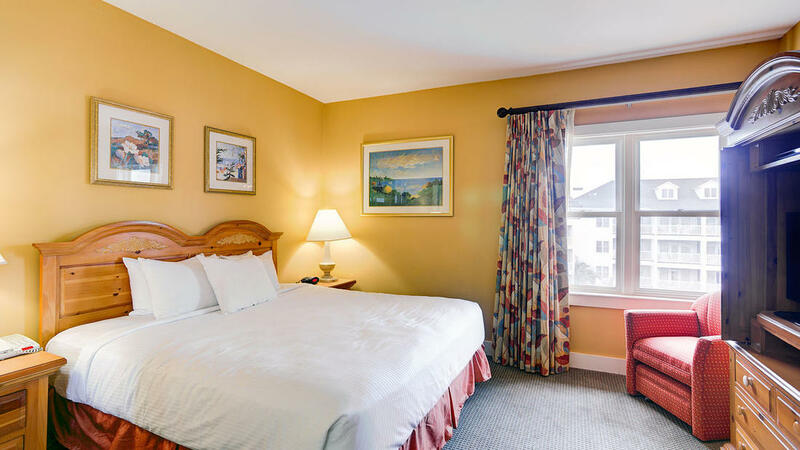 This Virginia Beach home away from home features a well-appointed master bedroom with a plush king-size bed adjacent to a large master bathroom with a garden tub and walk-in shower. 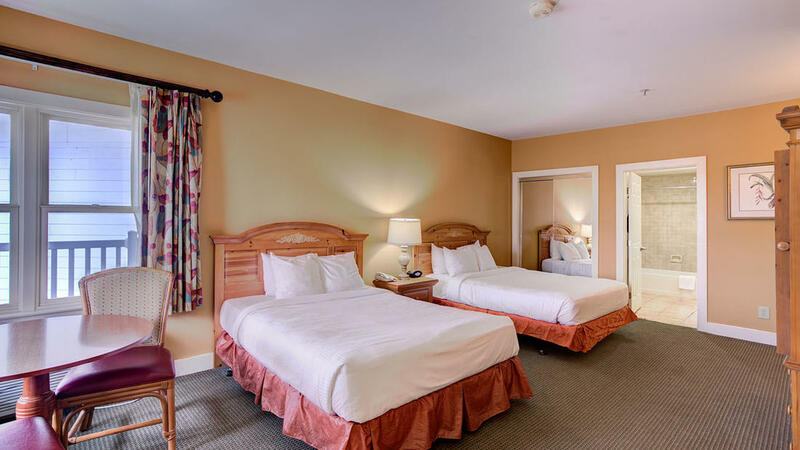 The second bedroom offers two queen-size beds and a separate bath. 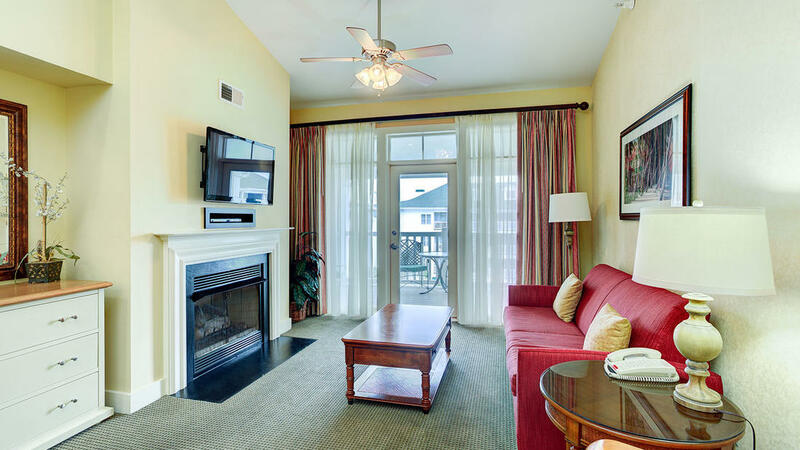 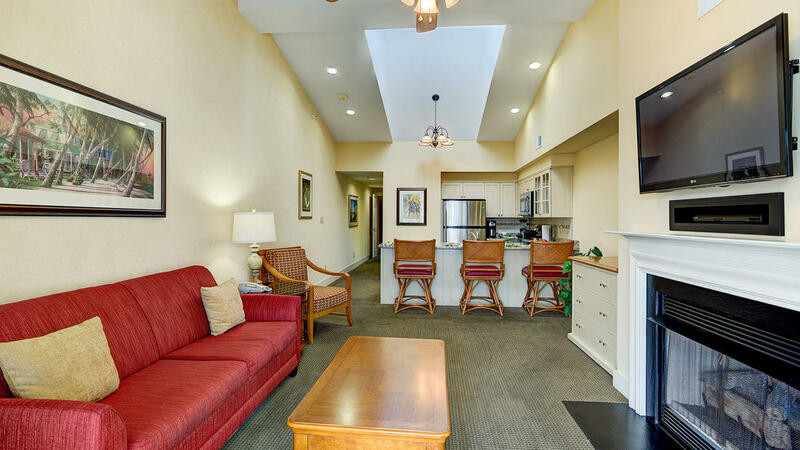 Kick back and relax in the fully furnished living room with a sofa sleeper and a gas fireplace. 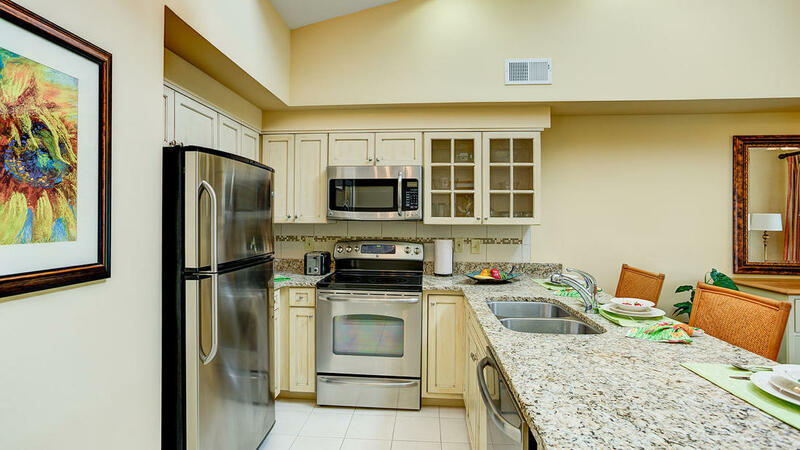 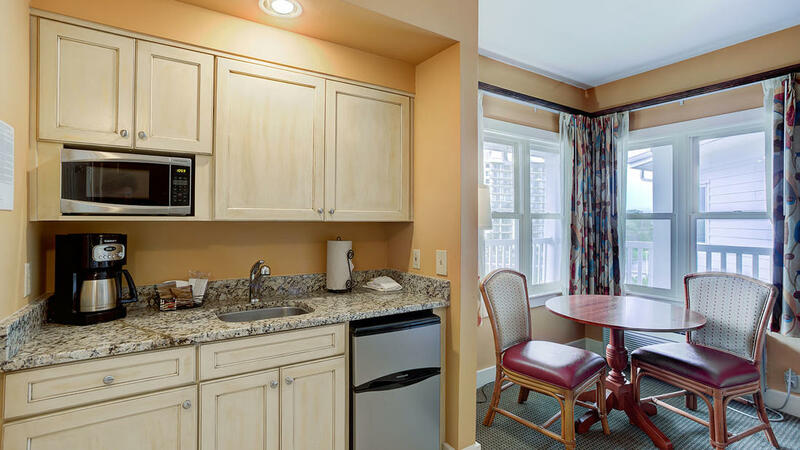 The fully equipped kitchen makes family meals convenient with stainless steel appliances, granite countertops, and a dining area for up to eight people to enjoy. 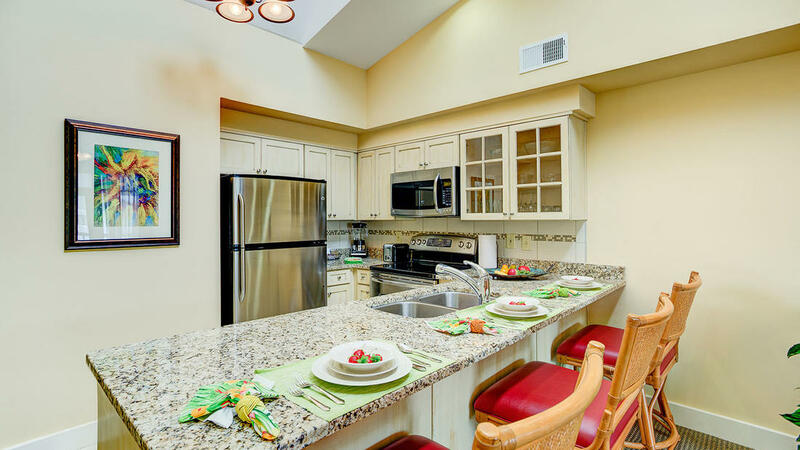 Take in breathtaking views from the private balcony located off of the living room, or end the perfect day by watching your favorite movie.